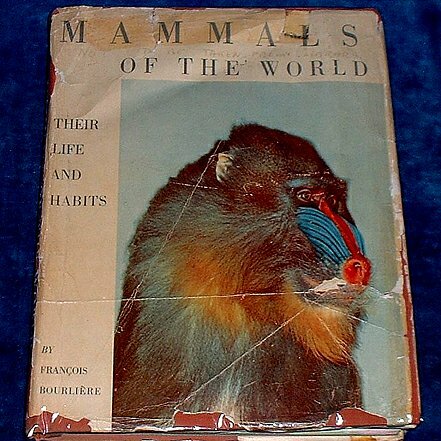 Description: London, George Harrap & Co. Ltd. 1955 Colour plates (15 of 16 lacks elephants in a river) + 100s of photos of animals in natural surroundings. . Quarto rose cloth in torn dust jacket (tips rubbed dust jacket lacks spine many tears/creases) 223pp ex Pates Gammar school for Girls with stamp to titlepage & bookplate to pastedown. *This book claims to be a first in comprehensive photographs of animals in their natural habitat and remarks that advances of miniature cameras, telephoto lenses and electronic flash have made this possible. Text includes principles of anatomy, systematics & species geography concluding with adaptations to aerial & aquatic life.